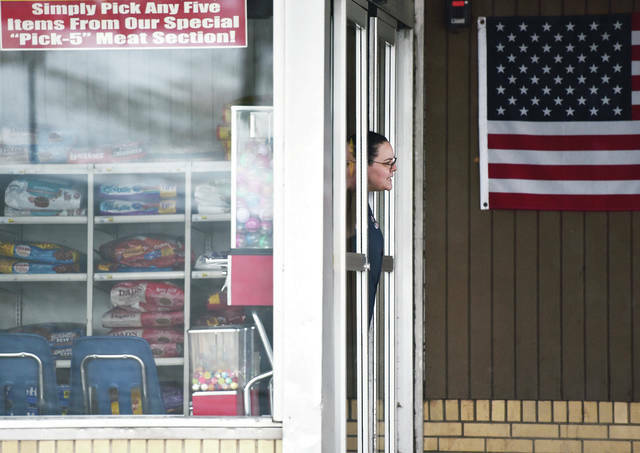 Stop lights are out in front of U.S. Bank on Wapakoneta Avenue as of 1:20 p.m..
Natasha Tittle, of Sidney, pokes her head out of Sidney Foodtown to tell people that the grocery store is closed due to a power outage that started around 12:30 p.m. Saturday, Jan. 19. The power had been out for 45 minutes as of 1:15 p.m.. 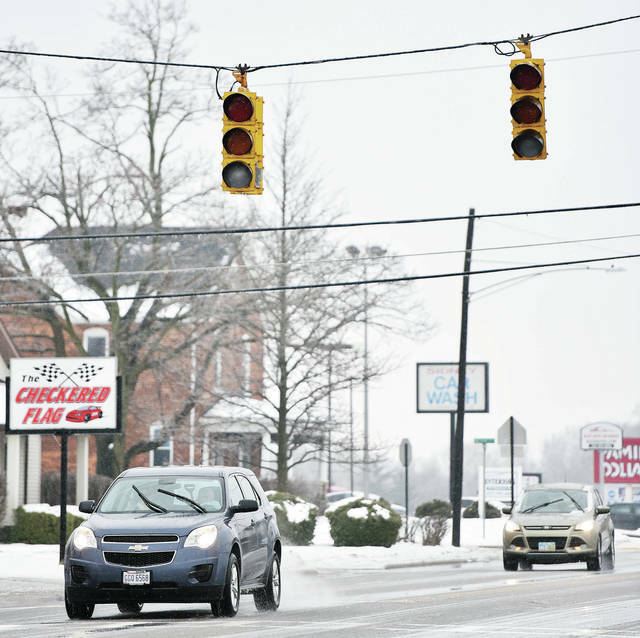 The stop lights in front of the store had also lost power. Brief power outages have been reported around the area.